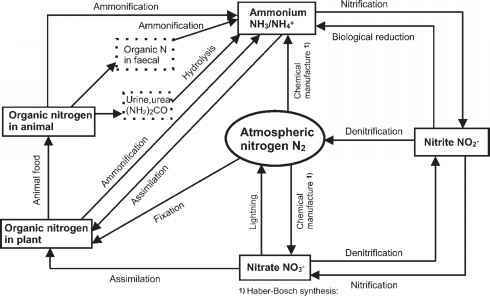 During a membrane filtration process, the solute concentration at the membrane surface rises; and when the concentration c3 exceeds the solubility limit crystallization occurs. A gel layer, also known as a sludge cake, is formed by the deposit of solids as well as by the growth of bacteria (see Fig. 12.5 in the next section and Fig. 12.9 in Section 12.4.3). 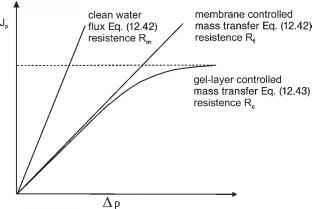 Practice normally shows non-linear behavior because the gel layer controls mass transport (Fig. 12.4). Fig. 12.4 Permeate flux plot as a function of pressure difference.